Spending plan • Hill Air Force Base may get more jets and more cash  but grant-dependent organizations such as schools and transit, wouldn't fare as well. Chris Detrick | Tribune file photo An F-35 arrives at Hill Air Force Base Wednesday September 2, 2015. 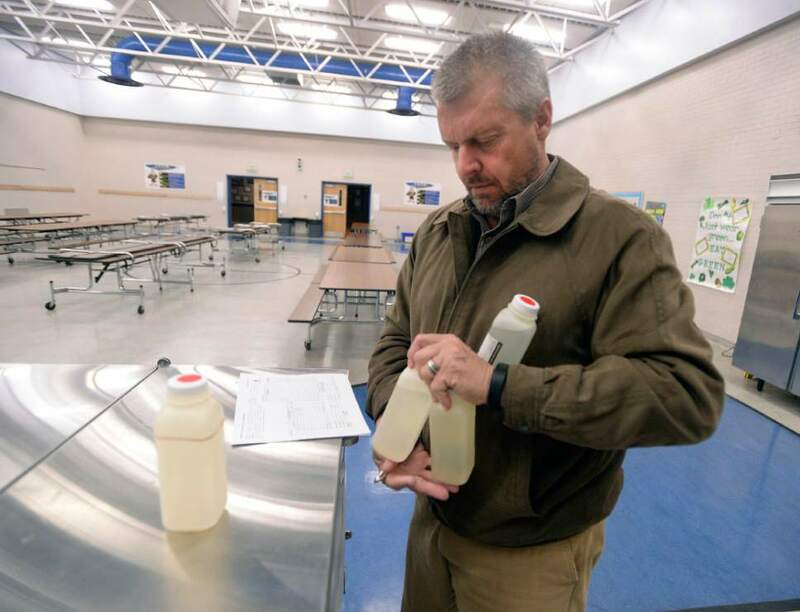 Al Hartmann | Tribune file photo Kevin Ray, risk management coordinator for Canyon School District gathers up four water samples and paperwork to be sent to a lab from early morning water samples taken from the Edgemont Elementary school's cafeteria and drinking fountains Wed. March 30, 2016. The most common cause of lead poisoning is old corroded pipes that are basically rusting metals into the water. Lead pipes are now banned in the US, but at least 58 percent of Utah's schools were built before that law went into effect. In 1988, congress passed a law charging schools with identifying and rectifying lead contamination and pipe corrosion, but according to the EPA this law is essential impossible to enforce and is not widely implemented. Washington • President Donald Trump unveiled a budget Thursday that would boost funding for the military, homeland security and veterans but cut deeply into education, health, environmental protection, housing, programs that help rural areas and the poor, as well as diplomacy and foreign aid. 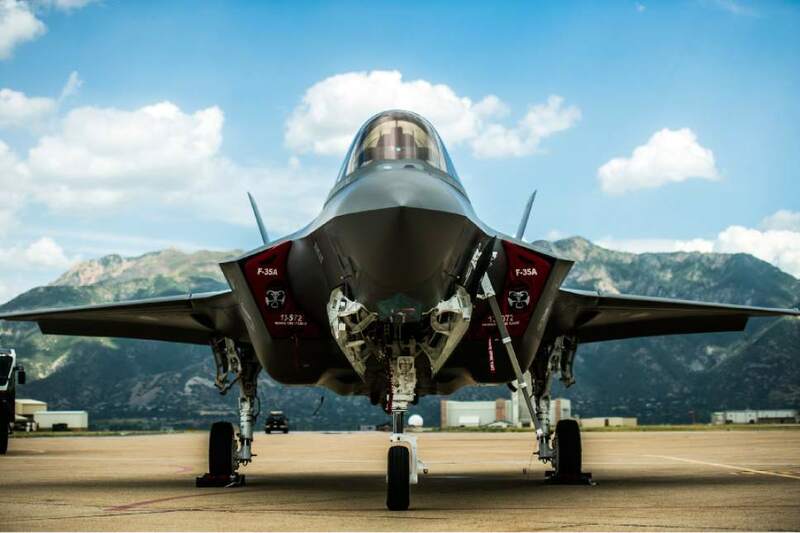 Closer to home, the president&apos;s budget would order up more F-35 Joint Strike Fighters, housed at Hill Air Force Base, at the same time eliminating funding for a rural air service, community block grants and transportation money that has helped several Utah projects in the past. The budget blueprint, a 64-page document that includes essentially talking points but few details, also would slash money for Amtrak service in the West, funding for land acquisition and a weatherization program for the needy. It also would zero out federal funding for the Corporation for Public Broadcasting. The White House pitched the budget as a tough-but-needed effort to rein in government spending while focusing efforts on defense and core federal programs. Three departments  Defense, Homeland Security and Veterans Affairs  would see big budget increases while 15 others face drastic cuts. "This is the &apos;America First&apos; budget," said Mick Mulvaney, director of the White House Office of Management and Budget. "In fact, we wrote it using the president&apos;s own words. We went through his speeches, we went through articles that have been written about his policies, we talked to him, and we wanted to know what his policies were, and we turned those policies into numbers. So you have an &apos;America First&apos; candidate, you have an &apos;America First&apos; budget." 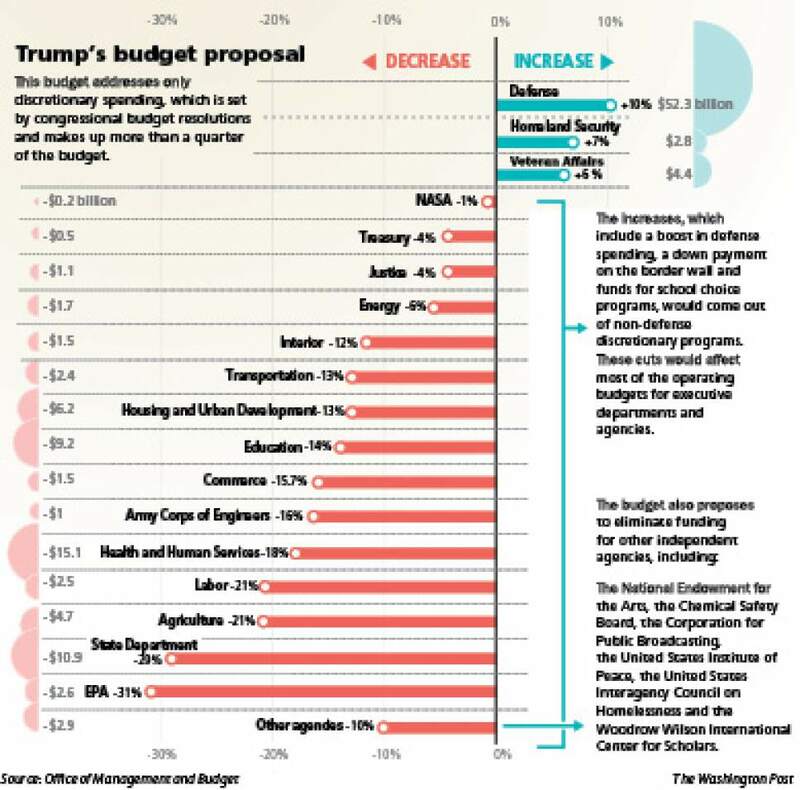 The budget, though, isn&apos;t likely to be adopted across the board on Capitol Hill, where spending priorities differ from the White House. Congress traditionally writes its own budget  or in recent years, passes updated versions of previous budgets  but does not rely on the president&apos;s plan. Sen. Mike Lee, R-Utah, praised the president&apos;s blueprint, calling it a "solid step" toward slowing spending that is driving the national debt higher. "Many of the programs eliminated by Trump&apos;s budget can and should be financed by state and local entities, and Trump should be commended for making some of the tough calls necessary to move our country in a direction of solvency, with the principle of federalism in mind," Lee said, adding that while foreign investments are often "noble," the focus should be on pressing domestic needs. While the president&apos;s budget message touts his plan as one that doesn&apos;t expand the federal deficit, it doesn&apos;t shrink it either  plowing all of the savings from program cuts into defense and security increases, including initial money for a border wall between the United States and Mexico and restoring funds to license Yucca Mountain in Nevada as a storage site for high-level nuclear waste. As part of Trump&apos;s budget, the Air Force fleet would add F-35 Joint Strike Fighters, although no numbers are spelled out, to "counter the growing number of complex threats from sophisticated state actors and transnational terrorist groups." The F-35 is the Pentagon&apos;s most expensive weapons program ever, with the fighters  even with higher-volume production cost savings  going for just under $100 million per copy. Rep. Rob Bishop, R-Utah, applauded the budget as containing "bold and creative solutions." "This framework is a positive start," he said in a statement. "I look forward to building on these ideas through the budget process and our committee&apos;s work." In other ways, though, the budget would divert federal money flows that directly impact Utah as Trump proposes eliminating many federal grant programs  a move that could starve subsidy-based initiatives for art, research and low-income housing. Education programs and transit projects could also take hits. Margaret Peterson, who directs after-school programming for 23 public schools in West Valley City, cringes at the president&apos;s call to kill the 21st Century Community Learning Centers program, which supports academic enrichment for primarily low-income students. The West Valley City school programs that Peterson oversees have collectively received roughly $850,000 each year from the federal program since 2009, with the money going toward tutoring, parenting classes and juvenile-delinquency prevention workshops for the 5,000 students who participate. Without the funding, those after-school initiatives would evaporate and 350 employees, she said, would lose their jobs. Statewide, some $2 million annually funnels through the program. "The impact of losing these funds is devastating," Peterson warned. Peterson is supposed to renew the grant applications for four of the schools by May 23, but isn&apos;t sure it&apos;s worthwhile to continue the process if the education grants are eliminated. Trump&apos;s budget suggests that the after-school programs lack "strong evidence of meeting … objectives, such as improving student achievement" and would save $1.2 billion if cut. "Our outcomes are all double-digit improvements in grades, test scores, behavior, staying in school, attendance during school [and] graduation," Peterson countered. Airports in rural areas of the state, as well as Utah Transit Authority (UTA) transportation projects, could also be stymied by reductions outlined in the initial budget. Judd Hill, manager of Moab&apos;s Canyonlands Field Airport, said the president&apos;s proposal to cut the Essential Air Service program could impact flights and tourism near Arches and Canyonlands national parks. The program provides for subsidized contracts between the federal government and air carriers so that rural airports could maintain flights after airline deregulation in the 1970s. Cutting the program would mean carriers could decide not to service smaller airports and ticket prices would likely rise. "It&apos;s disheartening to hear," Hill said. Trump&apos;s budget suggests most of the communities that take part in Essential Air Service contracts "are relatively close to major airports" or other "existing modes of transportation." That&apos;s not the case in Moab. The proposal suggests the cut would net $175 million in savings. Another transit-targeted elimination is the Transportation Investment Generating Economic Recovery grant program, known as TIGER, which funds road, rail and port projects. UTA received $20 million from the program in 2016 for walking, biking and air-quality improvements to its system. That money has yet to be awarded, though UTA spokesman Remi Barron said the Trump administration would likely not retroactively repeal it. "The president&apos;s budget indicates an intent to honor existing commitments," Barron added. "We are hopeful he will honor TIGER funding commitments as well." A $27 million TIGER grant also funded the agency&apos;s Sugar House Streetcar line, with additional money from Salt Lake City and Salt Lake County. Barron said the agency won&apos;t be impacted by the cut because it has no "future projects in the pipeline" for grant applications. Trump&apos;s budget anticipates saving $499 million with the elimination and proposes that transit projects are "generally eligible for funding under existing surface transportation formula programs." • Cut the Water and Wastewater loan and grant program that helps rural communities. • Reduce staffing at the Agriculture Department&apos;s Service Center Agencies in rural areas. • Eliminate the Rural Business and Cooperative Service. • Eliminate the 21st Century Community Learning Centers program that supports before- and after-school programs. • Restore money to license Nevada&apos;s Yucca Mountain to store spent nuclear material after Congress had voted to kill the project. • Cut the Weatherization Assistance Program and the State Energy Program that are aimed at helping needy Americans. • Support community health care centers and the Indian Health Service. • Drop the Community Services Block Grant from the Health and Human Services Department. • Raise airline passenger fees to pay more for TSA operations. • Eliminate the Community Development Block Grant that is aimed at helping communities with expensive projects. • Boost funding for the National Park Service&apos;s maintenance backlog but reduces further construction money. • Reduce subsidies for Amtrak service outside the Northeast corridor and state-supported lines. • Eliminate the Essential Air Service that helps subsidize commercial air travel in rural areas. • Drop funding for TIGER grants that go to transit projects.